Help Us Achieve Our Displacement Goals: Take the Fleet Survey! Each year Clean Cities collects data from our stakeholders to measure progress towards reducing the U.S. (and Capital Region) dependence on petroleum. 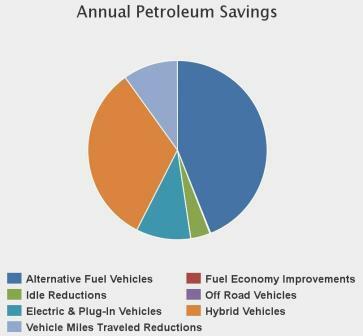 The survey below has been specifically designed for fleets to report what alternative fuel vehicles their organization operated, what types and how many fuel stations they installed, and other petroleum reduction strategies their organization promoted, like anti-idling, transit, and carpooling, in 2015. The survey also collects data on off-road alternative fuel applications like forklifts and maintenance equipment. Stakeholders and fleet managers are asked to complete the survey by February 15th. Any questions about the survey can be directed to Jen Ceponis via email jceponis@cdtcmpo.org or at (518)458-2161. If you prefer, you can also access the survey at www.surveymonkey.com/r/CDCCSurvey2015. Thank you for your participation and efforts to further the Clean Cities mission of reducing petroleum consumption in transportation.